Owner managers and/or their employees who were engaged by your organisation to provide a particular service or undertake a particular task at an agreed price or rate, and generally for a specified period. A full-time employee has ongoing employment and works, on average, around 38 hours each week. Any activity, procedure, plant, process, substance, situation or any other circumstance that could cause, or contribute to causing, a major incident. Occupational health and safety incidents that resulted in a fatality, permanent disability or time lost from work of one day/shift or more. 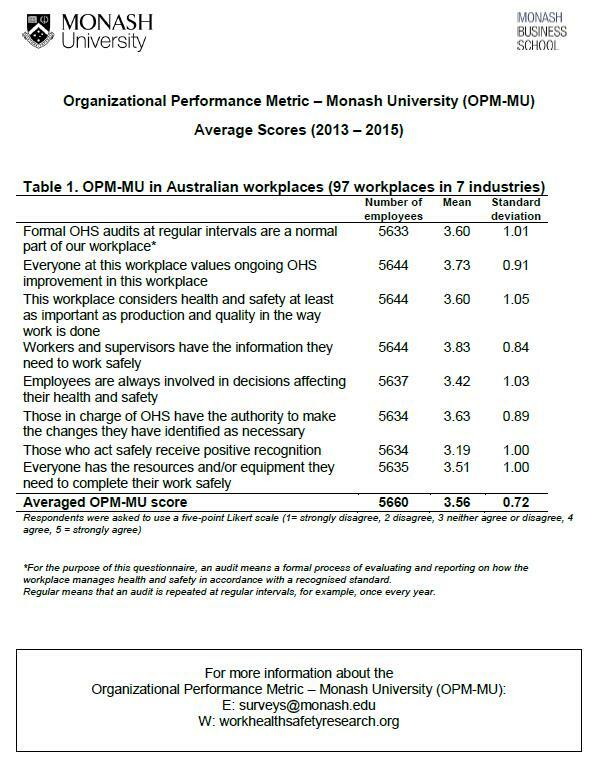 It should be noted that Safe Work Australia recommends that organisations also measure lost time injuries that result in in one working week or more of lost time from work if they wish to do national comparisons. Those OHS incidents which were not lost-time injuries and for which medical treatment was administered (excluding first aid treatment). 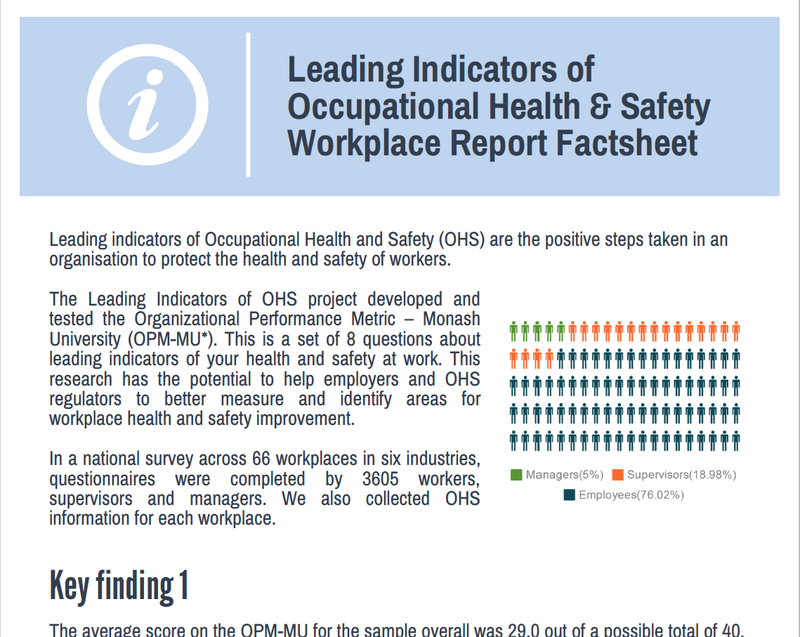 Any unplanned occupational health and safety incidents that occurred at the workplace and which, although not resulting in any injury or disease, had the potential to do so. The total number of hours worked by workers in the workplace during the recording period (normally measured in millions of hours worked). The total number of complete working days or shifts lost from work as a result of an injury or disease.